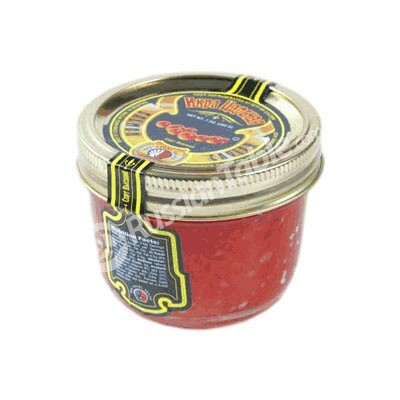 "Tsarskaya" Salmon Caviar 200 g buy for 23.9900 in store RussianTable with delivery. You may be looking for a high quality product, but unable to reach to the best sites for such product. Russiantable Company is long known and reputed for maintaining healthy ingredients in their product. If you are purchasing any product related to a healthy ingredient, it is best to consider this company. Further, one of the products which ensure healthy ingredient in their product is Tsarskaya Salmon Caviar 200 g.
Why purchase Tsarskaya Salmon Caviar 200 g? You can order it easily. Delivery time is very less that within an hour, it will reach your door. If you are looking for some delicate taste which is different with the healthiest ingredient, it is best to purchase Tsarskaya Salmon Caviar 200 g. User reviews are great and quality purchase. Do you have any questions about "Tsarskaya" Salmon Caviar 200 g?